Your daughter is a true princess, so her birthday celebration should be something really special. This year, the legendary Mister X is scheduled to perform his world-famous magic show, but this illusionist turns out to be dark wizard with a really nasty plan. He’s kidnapped the princess and put a wintery spell on the kingdom, turning everything to ice! Can you reverse this disaster before it’s too late? 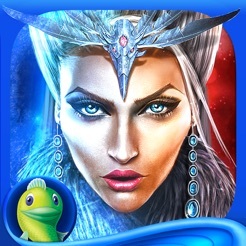 • STOP THE ICE QUEEN FROM RETURNING! Your special amulet protected you from this curse, leaving everyone else frozen. 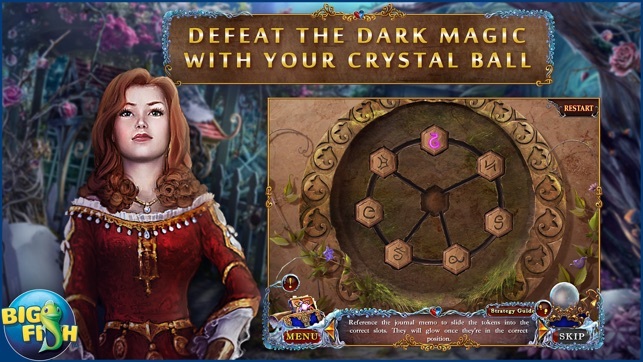 You’re the only one who can put an end to this evil sorcerer’s plans and rescue your precious daughter! 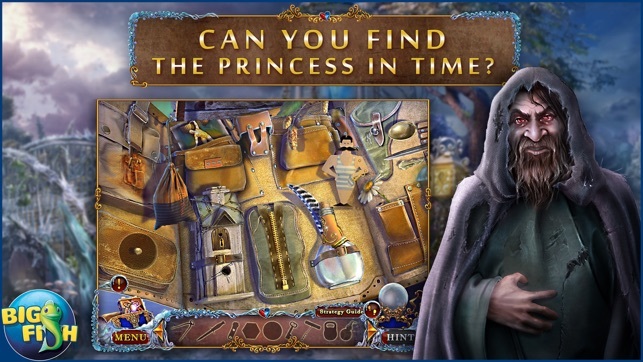 • CAN YOU FIND THE PRINCESS IN TIME? 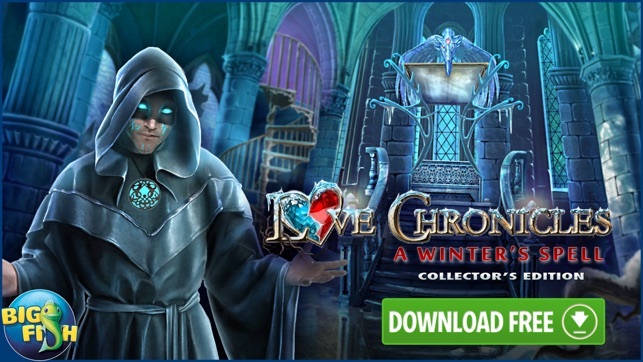 Bundle up and trek through a frozen land of beautiful hidden object scenes. 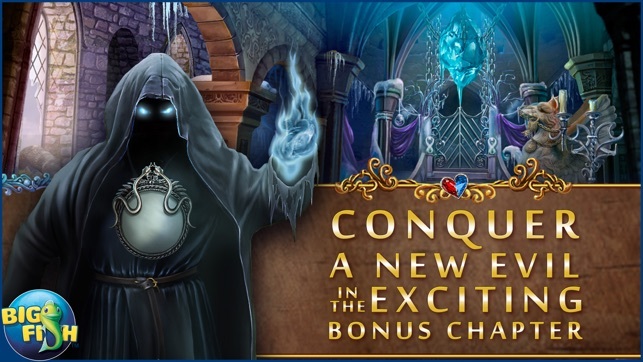 Use the power of this artifact to help solve enchanted puzzles and spellbinding mini-games. Track down another villain and enjoy additional Collector’s Edition exclusives including collectible Puzzle Pieces, morphing objects, and more! Not as bad as people are saying! FIVE-BN has just released a new game: "The Legacy: Forgotten Gates," which is released as both an outright purchase and a version offering a free trial. This game is NOT as terrible as most people are stating. Reviews are subjective, and reviewers will have varying opinions as to what they like or dislike. I did not experience any flaws regarding downloading, crashing, or lagging. Yes, the controls are a little clunky; however, it did not impede my gameplay. The storyline is rehashed and lacks novelty. But the diversity of HOSs; the plethora of entertaining puzzles; a thorough journal to convey the backstory; engaging collectibles (play mini-games with one set); and the inclusion of the expected components, such as custom settings, make up for any shortcomings. Furthermore, there are many tasks to effectuate within the vast amount of scenes; I'm getting my money's worth. 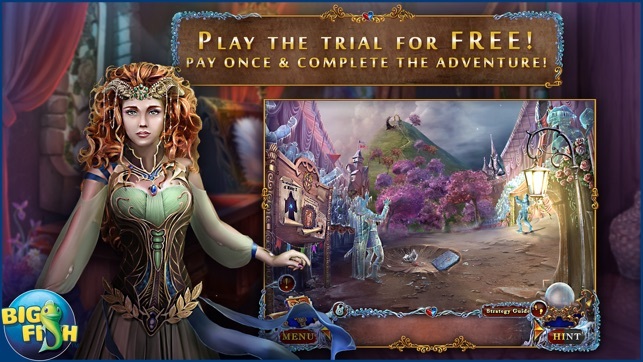 You can play the free trial and decide for yourself; otherwise, save your money and play FIVE-BN's new one. As a last note, I AM a "real" reviewer; I just have a different opinion this time. My true rating is 3.5 stars, but the final rating stands at 4 stars. Okay, best in the world, ever? No. But a perfectly acceptable HO game. The graphics are 100% okay. And in terms of it feeling dated, it's not like it's going back to PAC MAN, it's from 2015, and graphics were still good all the way back then. For reviewers looking for storyline and character development, I'm sorry but it's called a book. Read one. These games are not Oscar contenders nor are they meant to be. They're $4. They're played on your phone and iPad. If you want something more involved buy a game console. I understand frustrations with games that are super short or just plain don't work. But the reviews for this one are unnecessarily bitter. If you think you can run BIG FISH, and crank out amazing games twice a week, quit your job and give it a shot. Why are you assuming there's some perfect cloud of perfect games that big fish isn't giving you? They're just a distributor, they don't make them, they don't quality control them, they aren't the boss of the shops who do make them. Take your complaints there, if you're so upset with quality. Fabulous game! Does NOT seem old! I totally agree with Kim that this game is vastly underrated. Personally, this is one of my favorite new releases from Big Fish. The plot line was creative, the minigames are novel (with many of the storytelling variety), HOPs are diverse, graphics were beautiful, and I experienced no glitches whatsoever. The map enables teleportation, and difficulty is fully customizable. The only occasional hiccup was the map sometimes showed available actions, where you actually had to perform another action first. After I realized that, I adjusted my gameplay accordingly. And that's another thing – gameplay is quite lengthy, and the bonus chapter adds another 1-2 hours. © 2017 Big Fish Games Inc.